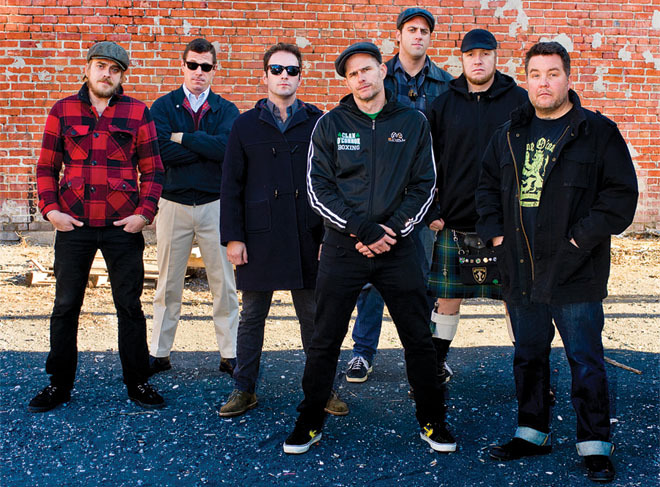 Boston can always count on a few things happening in March: A massive St. Patrick’s Day parade in Southie, an excess of green-clad revelers in local pubs, and a handful of sell-out shows from the Dropkick Murphys. The Boston-bred Irish punk band is scheduled to play six shows at the House of Blues and Lansdowne Pub as part of their annual St. Patrick’s Day Tour, something lead singer and bass player Ken Casey says the band looks forward to all year. “There’s something special about Boston in the sense that we probably personally know half the room when we play, so it’s a different kind of connection,” he says. “A lot of those people have been supporting us since the days when we were starting out at the Rat.” Don’t be surprised if you see Casey’s daughter step-dancing onstage or his 90-year-old grandmother clapping in the crowd. If you go: March 13–16 at 7 p.m., March 15 at 2 p.m. at House of Blues, 15 Lansdowne St., 888-693-BLUE.